At 5:00pm on the dot, these beauties were in my basket being paid for. I kinda have a love/hate relationship with these 'YouTuber/Celebrity Limited Edition' stuff because I hate the feeling of maybe missing out and having to rush to beat everyone else in the queue, it's just not a comforting feeling. 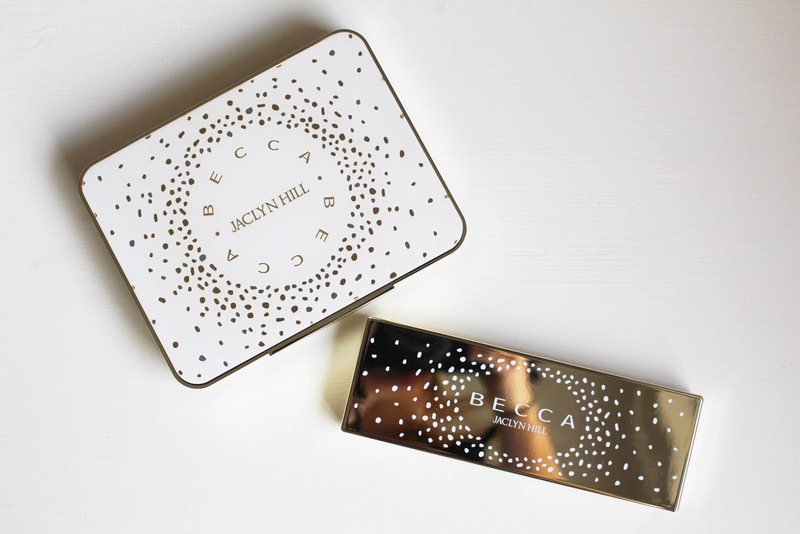 However, finally being the proud owner of a couple of limited edition products makes me feel so excited. So that's my love/hate relationship explained for ya! As soon as I heard Jaclyn Hill reveal her collection on snapchat, I was all over it like a mad woman. I mean just look how b e a u t i f u l these products are! As you can see, I opted for both the face palette and the eyeshadow palette. 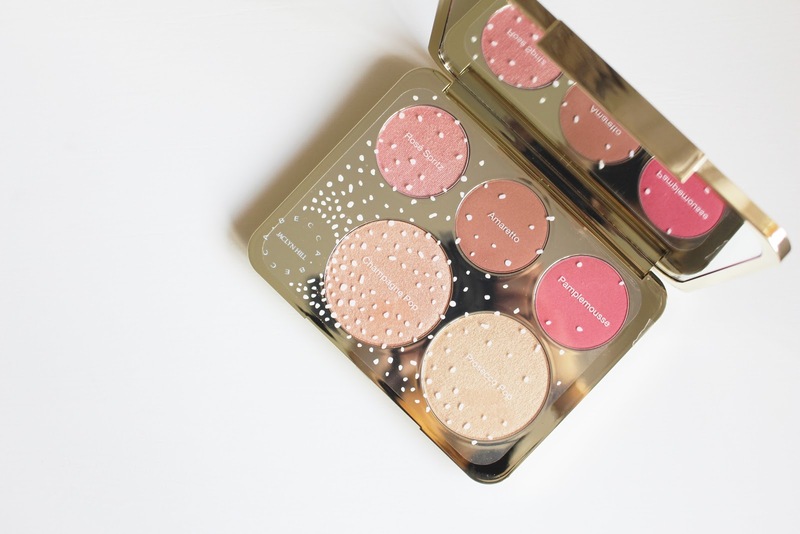 I already own the Champagne Pop highlighter (which I am probably a little bit too obsessed with..) so I didn't really feel like I needed the 'creme' and 'liquid' versions of it. 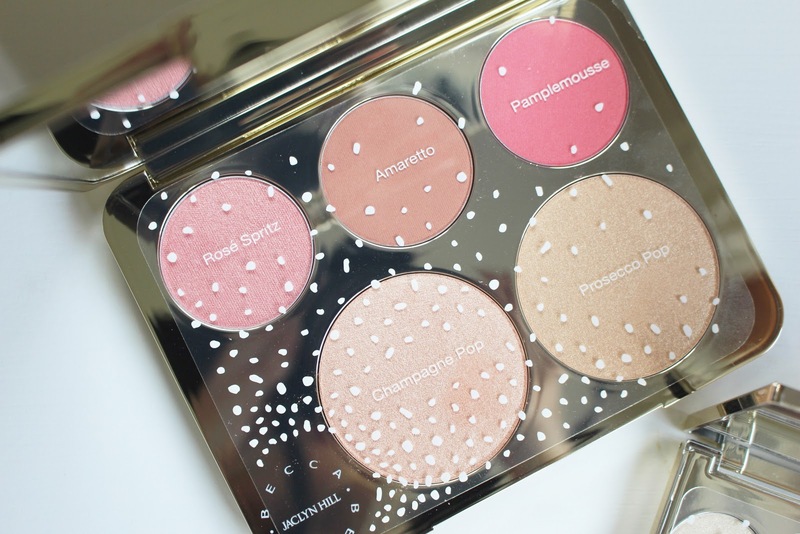 This face palette is just stunning and the design of the packaging is so beautiful. 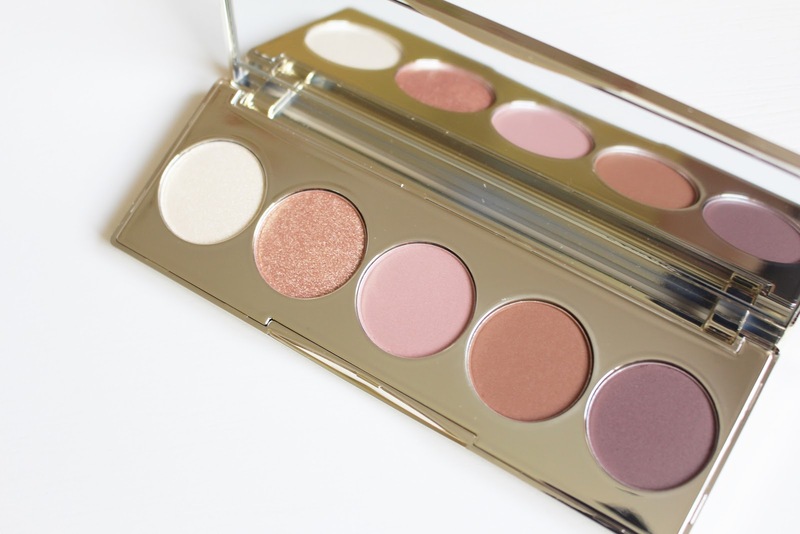 I also love how this palette comes with a huge mirror inside which is super handy for on-the-go application. I definitely feel like Jaclyn put her heart and soul into this palette - from the packaging, to the layout and design and also down to the shades of highlight and blush that are included. I wouldn't expect anything less from Jaclyn though as she never does anything half-heartedly, which is exactly why I trust every one of her recommendations and definitely all of her products. The new highlight shade - Prosecco Pop - is a gorgeous warm gold with a yellow undertone, which, when mixed with Champagne Pop, creates the most gorgeous and slay-worthy highlight you have ever seen. 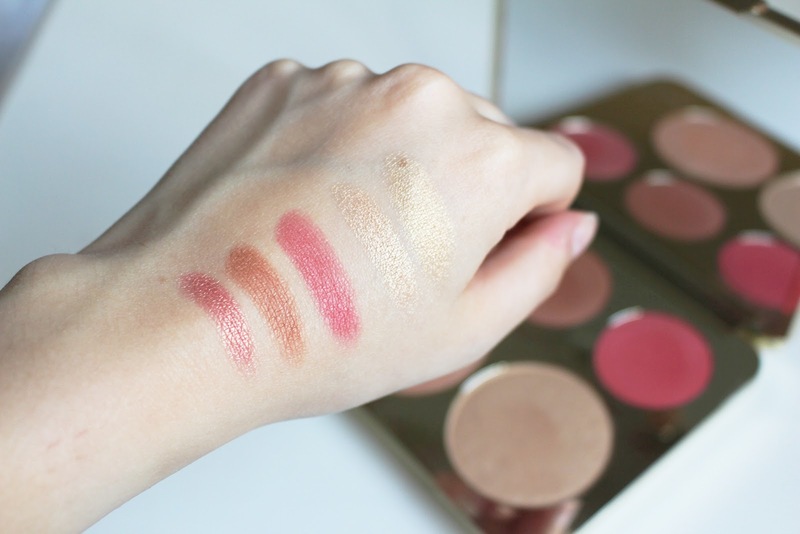 The other shades included in the palette are the ever famous Champagne Pop (soft white gold with peachy pink undertones), Luminous Blush in Rosé Spritz (soft peachy pink with pale gold shimmer), Mineral Blush in Amaretto (matte toasted almond) and Mineral Blush in Pamplemousse (matte warm coral pink). The other product I briefly mentioned that I purchased was the eyeshadow palette. Now, we all know how obsessed I am with eyeshadow palette's so this purchase was a given really. Again, the packaging is beautiful and really light weight. I think some people aren't liking how lightweight the packaging is and are saying that it feels 'cheap', but I disagree and I think the aim with this was that it's travel-friendly - which I really like. 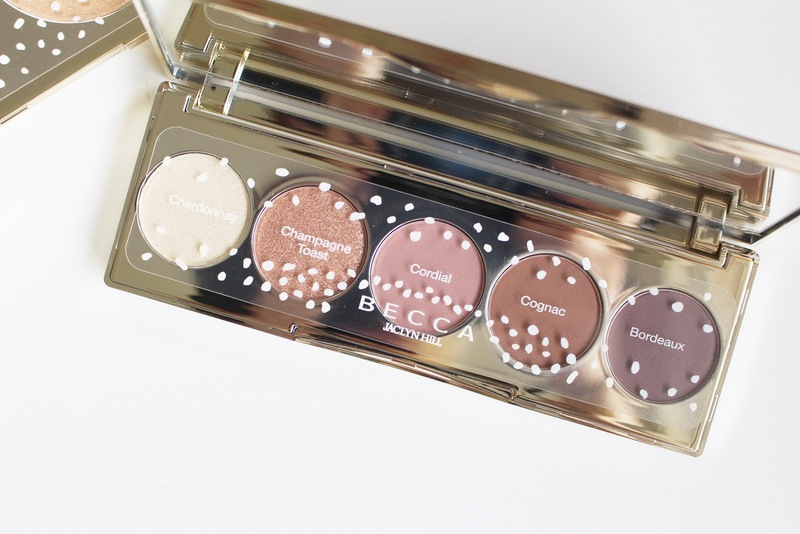 The different shades within this palette are so pretty and quite unique - just like Jaclyn! 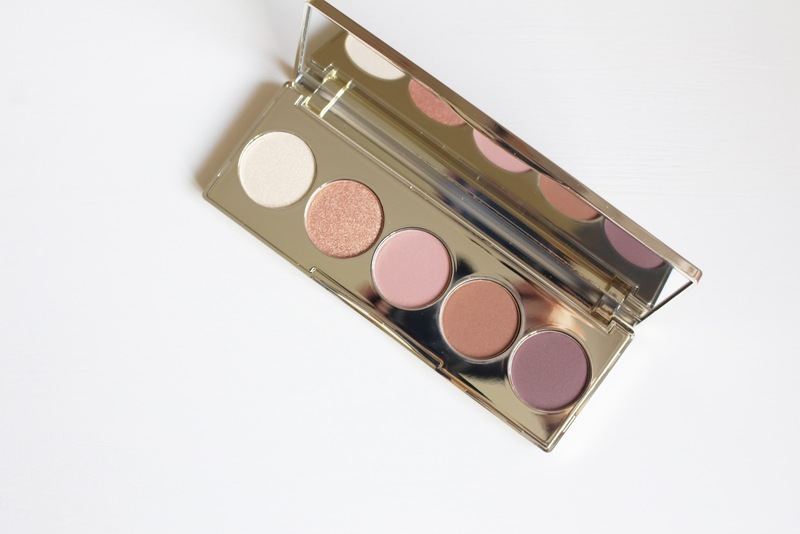 It's not often you see an eyeshadow palette with this much versatility, especially with 5 shades! This definitely gets a massive thumbs up from me and I cannot wait to start using it. 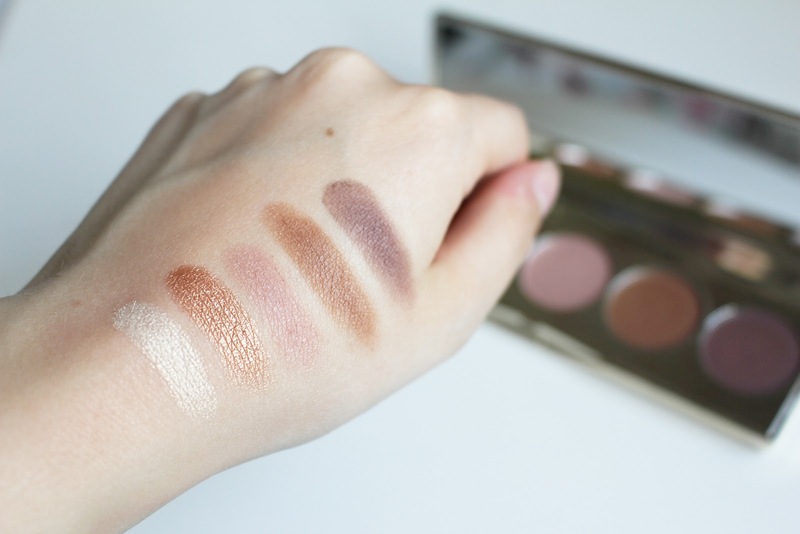 The shades included in the palette are Chardonnay (sheer gold with flashes of pink and soft yellow), Champagne Toast (reflective peach with a dash of cinnamon), Cordial (matte rose with warm undertones), Cognac (flattering matte coffee), Bordeaux (rich matte wine with chocolate undertones). I'm extremely excited to start using both of these palette's and I'm so lucky to have these limited edition beauties in my possession. 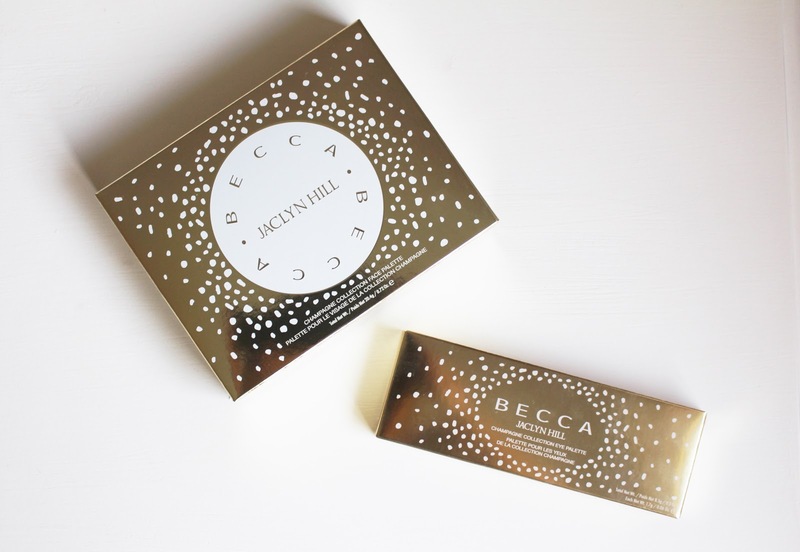 Congratulations to Jaclyn Hill for an awesome collaboration with Becca Cosmetics. This collection is absolutely stunning and I can't wait to see more from Jaclyn in the near future! P.S. I now understand, from watching Jaclyn's snapchat story (jaclynrhill), that the eyeshadow palette is going to be eliminated from the collection due to over 50% of them having a dry and patchy formula. I cannot comment on this yet as I have only swatched the eyeshadows - mine seem fine, nice and creamy. However, I will have a review coming soon on both of these palettes once I have used them a lot and you will hear my verdict then! I don't own Youtuber Limited Editions but I always get so excited whenever one of my faves release a collection, haha. I've seen reviews of this collection, and it's been absolutely amazing. I hope you enjoy them, Char! I definitely want to try out the cheek palette but there's no way I can afford it right now. Looks absolutely stunning though! I can't believe I haven't even tried Champagne Pop yet. I'm a little behind with these things haha. I would've loved to get the eyeshadow palette as well but since it's no longer available I can't. You're so lucky you got your hands on these they both look gorgeous - definitely need the eyeshadow palette in my life! 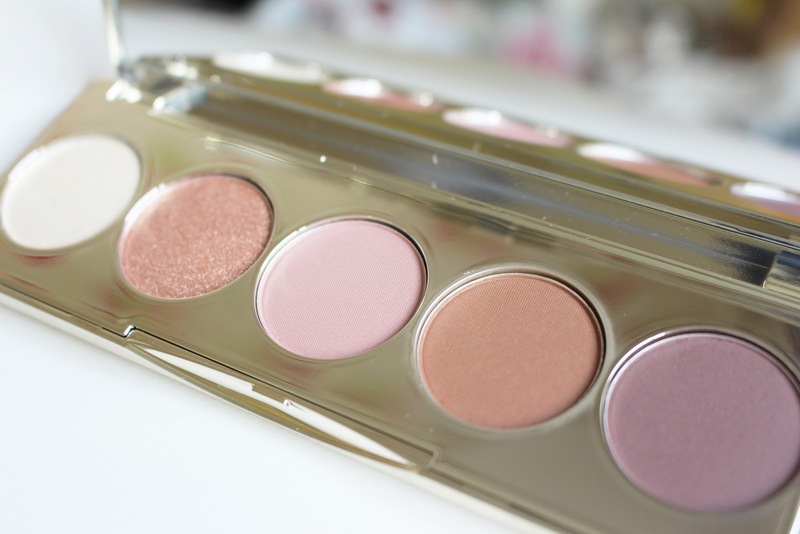 The face palette looks beyond gorgeous! 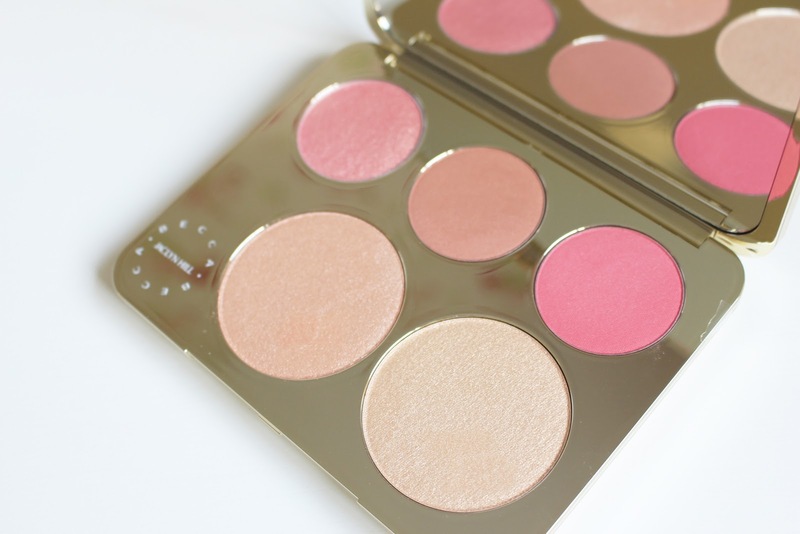 The face palette is made of dreams! I'm so sad I can't get my hands on it. I have the eyeshadow palette and I'm loving it!! 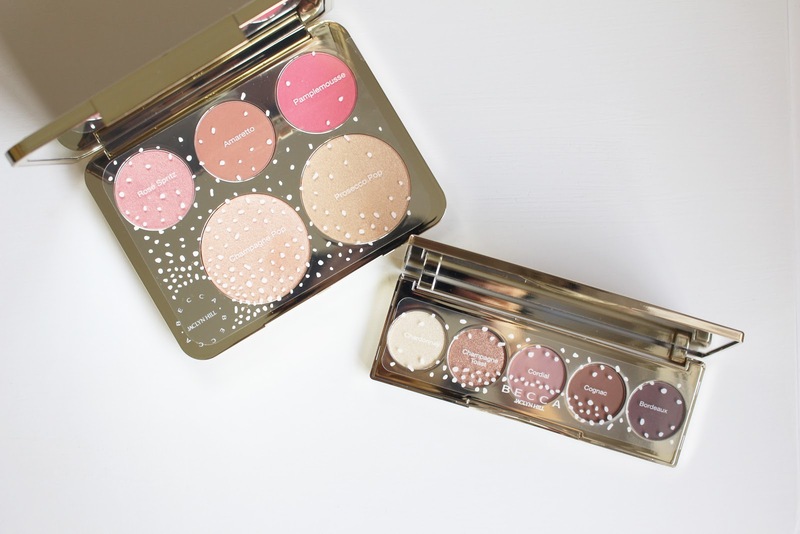 This collection just looks so beyond perfect, I can't believe I still haven't got my hands on any Jaclyn hill products! These looks really pretty, it's a shame about all the recent drama! I hope your eyeshadow palette turns out to be ok (it seems you got a good one from the swatches!) 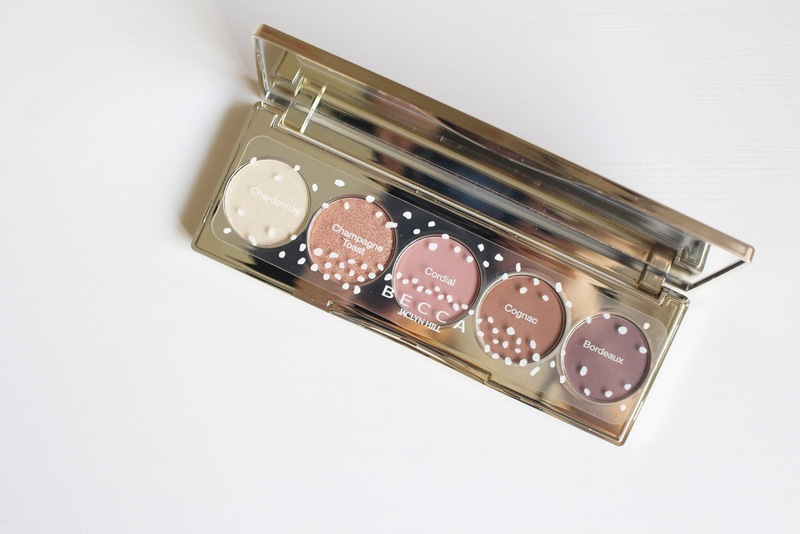 - I'm so disappointed by the whole thing :( I only ordered the face palette so really hope there are no quality issues there as it looks beautiful - the shades are exactly what I want!